2. 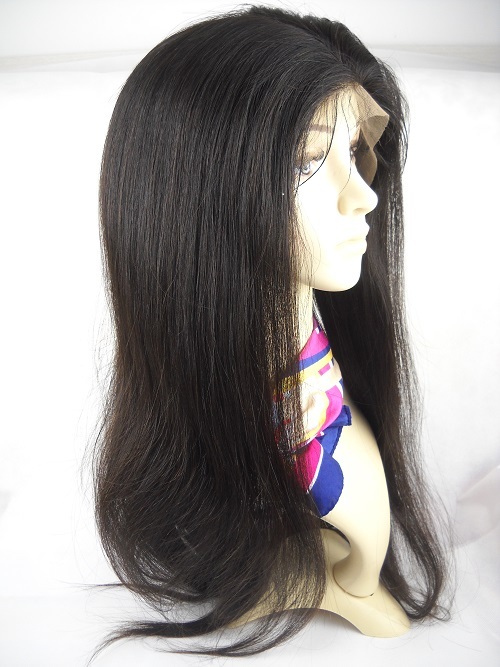 This silky straight texture is popular straight texture. 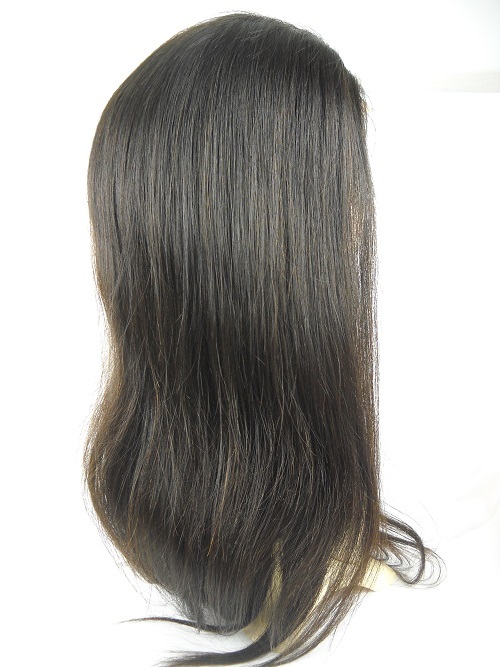 Very silky natural looking! 100% Malaysian virgin hair, Natural color, Silk straight, untreated, not processed. 2015-06-03 widelande .... This is my second unit with lace wigs and I love both units especially this hair. I have had it for a month. I bought the 18", 160% densities, with silk top. But I think they sent me a 22" but I'm not complaining lol. This hair hardly sheds and is very full at 160% so i would definitely recommend getting that extra density. 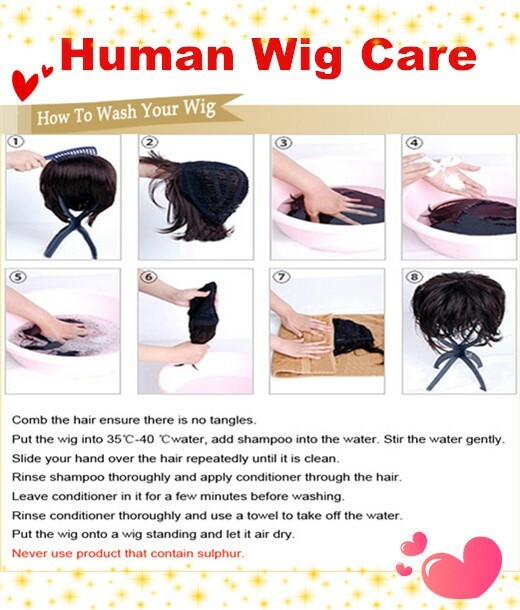 Once wet, the hair becomes wavy which was a surprise to me and I love it even more because i do not need to curl it. If you have an average head size, get the small cap. Even the small cap is a little large so i just put both straps together. I don't even need to use the combs which is fine with me because they give me a headache. 2015-04-29 T .... 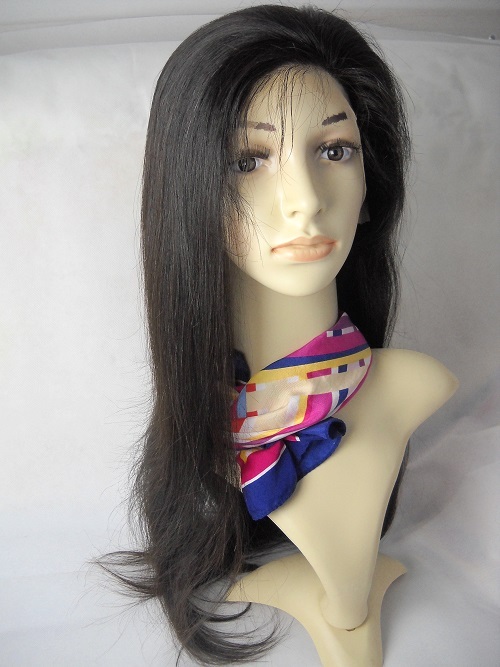 The 10th unit that I've ordered; natural color, silk top, 130% density, & 20" I've worn this unit for 14 days, gorgeous soft flowy & no shedding. Love it! 2014-10-17 Sabrina .... Just received this hair yesterday and it is AMAZING. My first time ordering from April Lace Wigs and I am so pleased. The hair is soooooo soft and silky...doesn't get any better in my book. I wouldn't exactly say that the hair is thin, but it's not thick....to me, the stocked density makes the hair more realistic. The silk top is unbelievable....the only thing I would do differently is order bleached knots on the unit. Beautiful, silky, shiny, GORGEOUS hair. 2014-03-26 Jackie .... Are there any updates on this wig? Has anyone else bought one of these ?